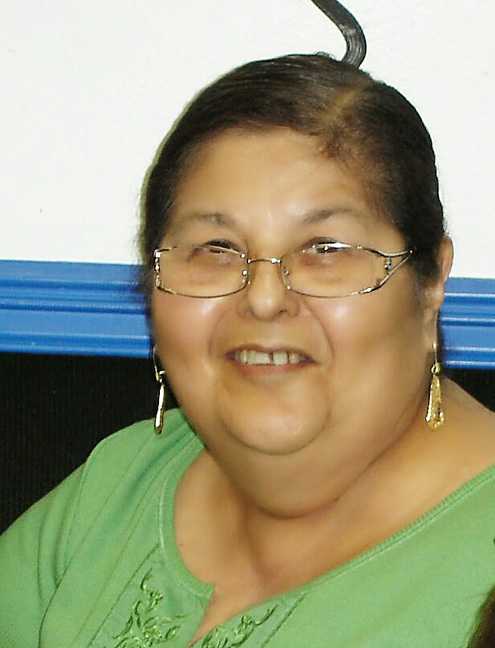 Alicia “Licha” Garcia Rios, 70, of Los Fresno/Port Isabel, Texas, passed away on November 27, 2015 at her residence in Los Fresnos. 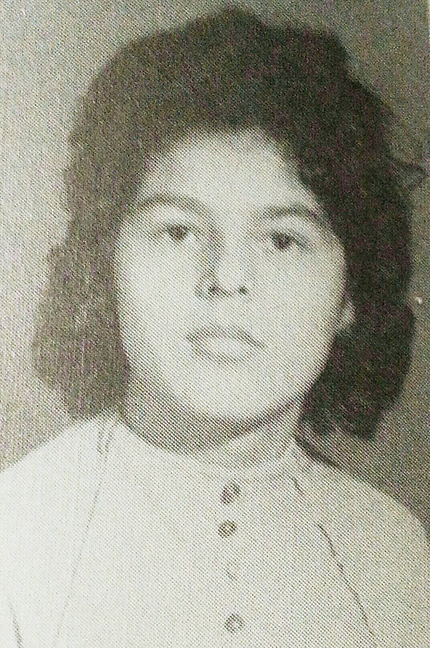 Alicia “Licha” Rios was born and raised in Port Isabel, TX. Attended Port Isabel High School. At a very young age she started working at the family oyster market, shucking and selling oysters. She also worked at the family bakery helping bake bread and running the bakery when no one was available. She then met and married the love of her life and moved to Los Fresnos, TX where she was a stay at home mother and raised her 6 children. A devoted daughter, sister, wife, mother, aunt, grandmother, great-grandmother and friend. She lived her life for those she loved. She touched many lives throughout her years and will be dearly missed. She was preceded in death by her parents, Pedro and Eulalia Reyes-Garcia. Alicia is survived by her loving husband of 44 years, Silvestre Rios; five daughters: Julia Rios, San Juanita “Janie” (Juan Carlos) Villarreal, Cecilia (Agapito) Castro, Ida Lisa (Arturo) Orozco, Eulalia “Lalita” (Derek) Sheldon; one son, Silvestre (Estrella) Rios, Jr.; 12 grandchildren: Brandon (Brandi) Lee Rios, Arturo Elias Orozco, Jr., Jordan Thomas Skipper, Alicia Aurelia Orozco, Lauren Elizabeth Skipper, Develynn Nicole Castro, Eulalia Mari Orozco, Davia Michelle Castro, Cecilia Orozco, Emily Alissa Silva, Brenna Danielle Castro, Silus Edward Sheldon, one great-granddaughter, Emma Victoria Rios; numerous nieces and nephews; two brothers, Pedro (Lulu) Garcia, Jr. and Armando (Sharon) Garcia; and three sisters: Andrea Garcia, Inez Niño, and Valerie (Arturo) Barrios. Visitation was held on Tuesday, December 1, 2015 from 1:00 p.m. to 4:30 p.m. at Thomae-Garza Funeral Home in San Benito, Texas. Visitation continued from 6:00 p.m. to 9:00 p.m., with a holy rosary at 7:00 p.m., at Our Lady Star of the Sea Catholic Church, 705 S. Longoria St. in Port Isabel, Texas. Funeral mass was held at 10:00 a.m. on Wednesday, December 2, 2015 at Our Lady Star of the Sea Catholic Church. Interment followed at Port Isabel City Cemetery. Serving as pallbearers: Arturo Elias Orozco, Jr., Jordan Thomas Skipper, Christopher Lee Perez, Armando Garcia, Pedro Garcia III, Jeremiah Niño, Adrian Niño, and T.J. Jee. Serving as honorary pallbearers: Brandon Lee Rios, Silus Edward Sheldon, and Thomas Garcia. A special thanks to Dr. Humberto De La Vega and Staff at M&M Clinic in Brownsville, Texas. You may sign the online guestbook and send words of comfort, flowers, or sympathy cards to the family of Alicia Garcia Rios at:www.thomaegarza.com.